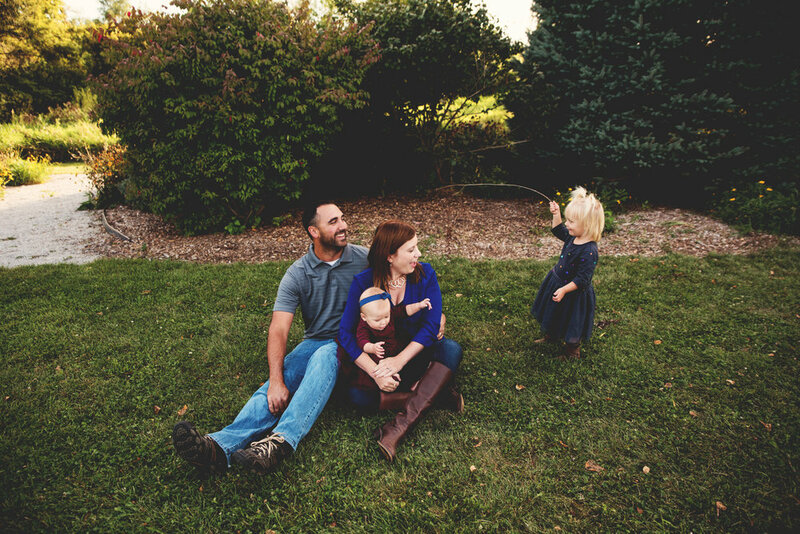 Molly (the two year old) steps out of the vehicle when the Strickler family arrived and wanted to explore! With daddy wrapped around her finger, they sat at every picnic table possible chatting up whatever it was Molly wanted to talk about. And from there she led the rest of the session. I loved it, I loved that mom & dad just laughed and rolled with it. Quinn was happily along for the adventure, not a care in the world and full of pure joy. 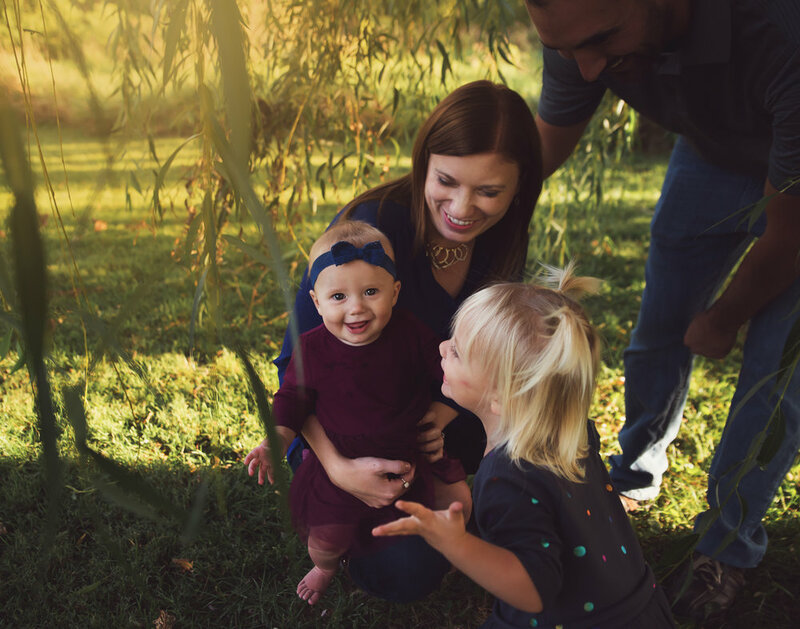 I had the best time with this family; capturing the sweet little moments in between Molly's agenda. "Brian and I met after he moved in down the street and attended kindergarten with my older brother. I used to chase him around the yard trying to kiss him or would follow them around trying to be one of the boys. Mostly I was my brother’s annoying little sister. Fast forward to when I graduated from college and moved back home to my father’s house and at the same time Brian and my brother got an apartment together. Yet again I became that annoying little sister who never left them but something must of stuck." After we were married we knew we wanted to start a family right away. It didn’t take long until we were blessed with our first daughter, Molly. She is a spark of energy and we are constantly on our toes! We are always up for a new adventure and parenthood has been the greatest one yet. It wasn’t too long after we had Molly that we welcomed her sister Quinn into the world. Little Quinn arrived bright and early Christmas morning and was a wonderful surprise! I love watching our girls play together and each day their bond gets stronger. They love to play in the rain, search for bugs, and be outside! Brian has been such a great father and will send sit patiently to let Molly do his hair and teach her about construction equipment. I lost my mother at a young age and I have found it is these little moments that are so precious. I can’t wait to see what our future will hold for our family and where we will go!"